hey guys. It often happen with us that whenever we try to Install any utility or try to play any game then it requires a large RAM than the currently installed in our system. 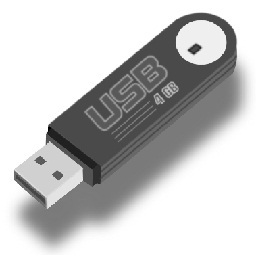 I’m sharing a simple trick by which you can treat your USB drive as Random Access Memory and can fulfill such requirements. This Hack is also helpful in case you’re running any Virtual Operating System. By increasing your RAM you can boost up all the present applications. Adjust the size to be used according to your need. Click on Advanced tab then in the Performance section click on Settings. In the new Box go to Advanced Tab. Set the size according to your requirement. Click Ok. 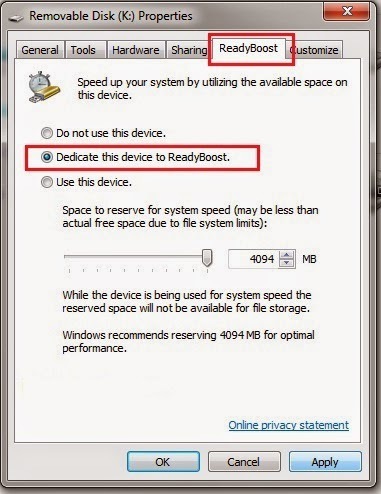 Restart your PC to take effects.